The bird in question, a Kestrel (its species wasn’t named), drew the attention of folks in Altinayva, Turkey because of the metal band upon its leg. Upon the bird’s capture, the band was found to read “24311 Tel Avivunia Israel.” Of course, assumed the locals, the bird must be a spy for Israel’s Mossad intelligence agency. 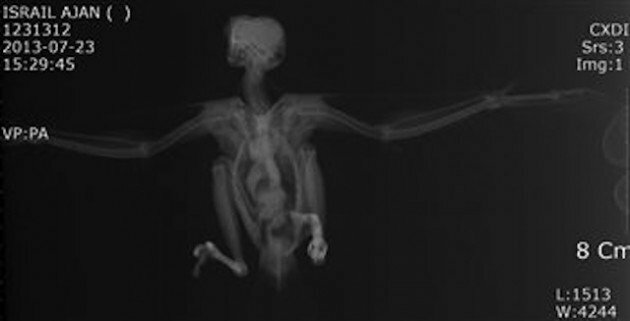 The poor Kestrel was examined for microchips and other spy gear, and when the X-rays turned up clean, it was released. The Times of Israel attributes the band to Tel Aviv University; presumably the bird was part of an ornithological study? Interestingly, this wasn’t the first time a stray Israeli-banded bird has come under suspicion in Turkey. The BBC reported last year that the corpse of a European Bee-Eater, found in a Turkish field, wore a similar band and got similar treatment before being declared innocent by authorities. Over the years, other birds–and other animals–have been accused of espionage, according to The Telegraph. Perhaps these fears aren’t so unfounded: although not technically spies, Homing Pigeons were put to great use during World Wars I and II for carrying messages across battlefields and enemy lines. Back to the matter at hand, though. If you were going to recruit an avian James Bond (or Austin Powers), would a Kestrel be your go-to spy? Or can you think of a better candidate for International Bird of Mystery?